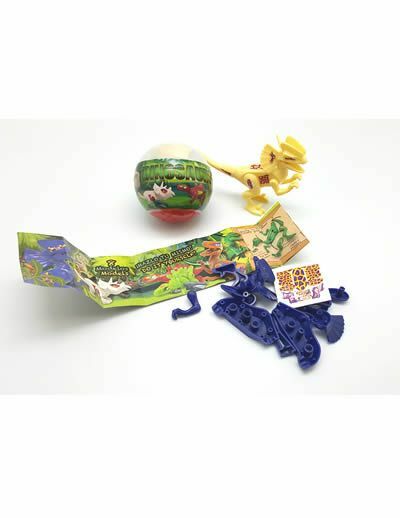 Each capsule contains a buildable dinosaur. 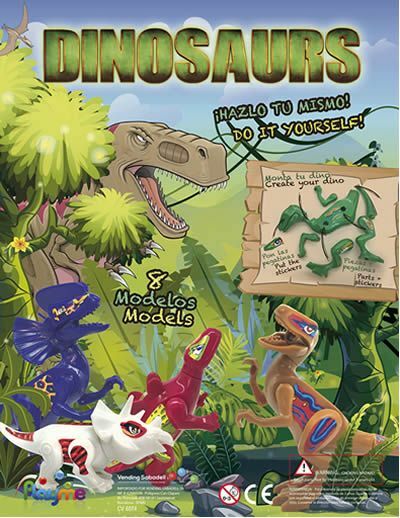 There are 8 different dinosaurs to find, collect and build. Sold in bags of 50 for a vend price of £1, complete with free display card.